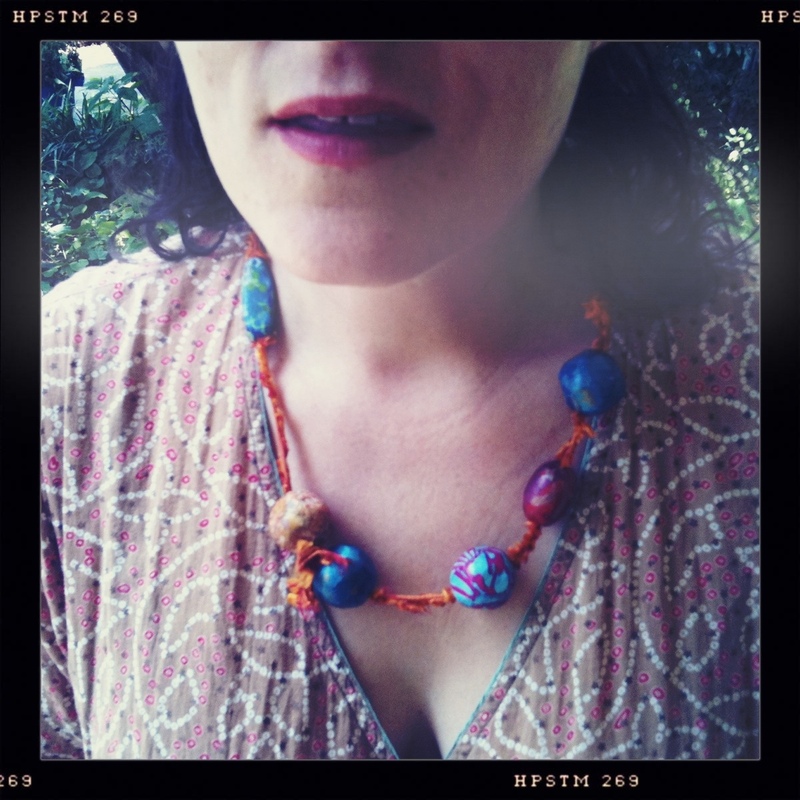 This necklace is made of paper beads rolled around a wooden skewer and sealed with Diamond Glaze. The paper is cut from maps my husband and I used on trips to the Pacific Northwest years ago. The large wooden bead has map pages lacquered to the outside as well. The beads are strung on red leather cording with a few very old Bali spacers I got from a bead trader in the early 1990’s. This necklace is one of my absolute favorites; it is meaningful to me and looks good with many things I wear. I often wear this on trips or when I really want to take a trip but can’t. Way back when my husband and I would travel very lightly and liked to do a lot of aimless walking/hiking on trips. We headed out to the Olympic Peninsula in a rented mini-van with a bag filled with fruit, dried salmon, wine, chocolate and good bread. We used to rent minivans because way back when you could pop the center bench seat out and flip it around. Fully recline all those seats and it is a twin bed. We drove the first day and filled our eyes with the fog, the trees, the beauty. We parked that evening all alone at a rocky beach and prepared to eat a fabulous dinner of fresh plums, smoked salmon, goat cheese, bread and a bottle of wine. Oops, no bottle opener! The beach was still amazing. This picture was taken by my friend Jeana who had to take about 40 pictures until I was happy. 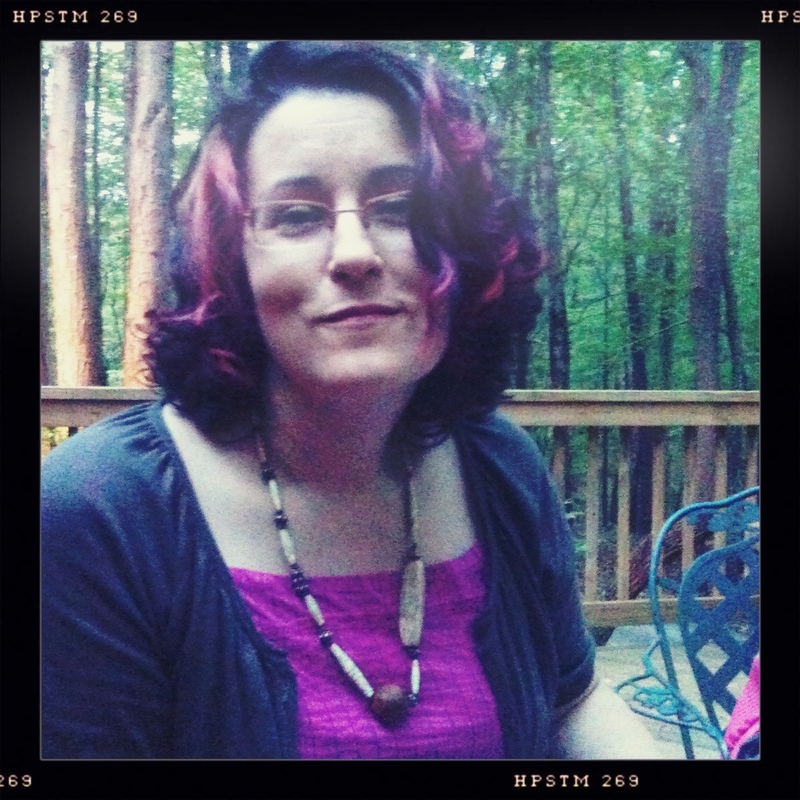 It was dusk and we were sitting on a deck with friends, laughing and joking…that evening was a bit like a mini-vacation so I am glad I had the necklace on. Jeana would NEVER take a camping trip without a bottle opener; she’s very prepared and thoughtful. This tutorial shows you how to make similar beads to the large map-covered bead. 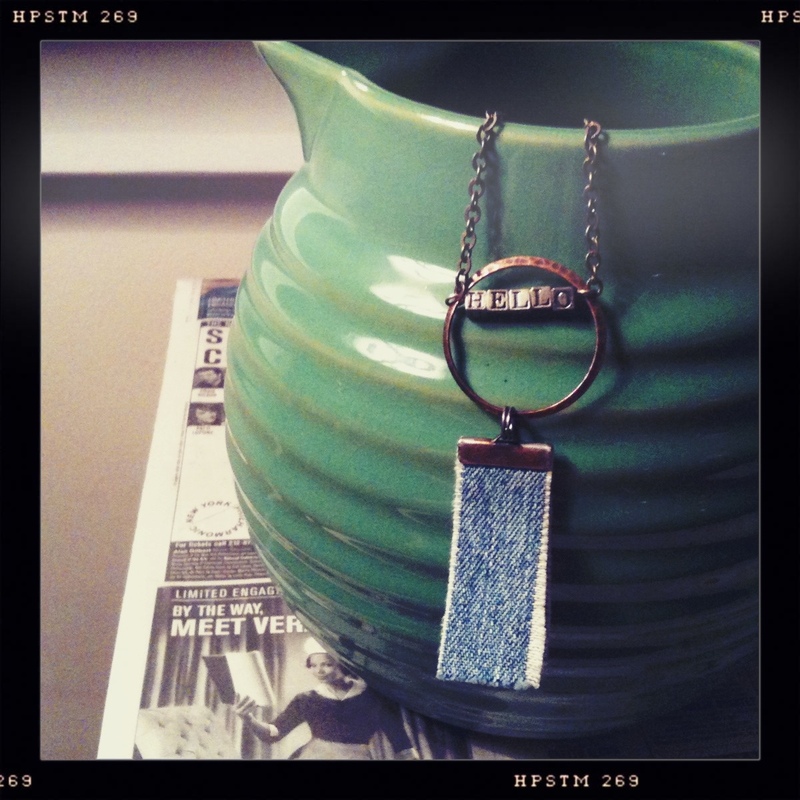 This necklace has a tiny book pendant made of jeans and paper. I love tiny books. I often make them using those crimp-on end bars. Just slide the paper and cloth in and press down. Voila! a book with a loop for hanging. What a friendly little necklace!